2 Responses to Mental health and wellbeing of ‘marginalised’ communities: new Public Health England points way? 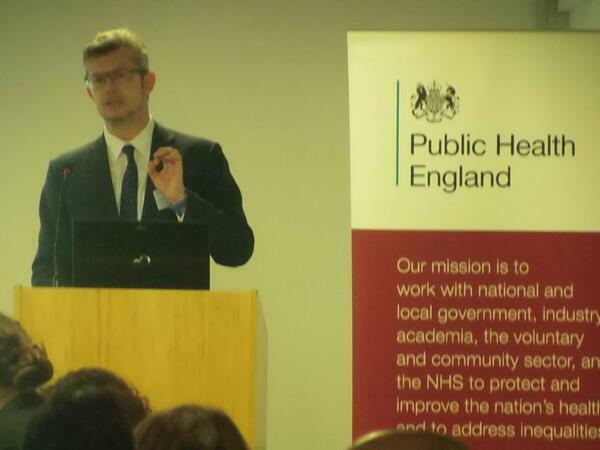 Thank you for taking the time to share such a full report from the Public Health England event. It is heartening to hear about a broadening acceptance of ‘mental health and wellbeing not as a an individual matter but one where it is possible to take action upon its social determinants’. The points raised about intersectionality and prejudice are really important. From a radical community development perspective, Margaret Ledwith distinguishes between a naive consciousness, in which people ‘engage with single issues rather than the underlying roots of injustice’ (http://communitydevtheories.blogspot.co.uk/2010/11/naive-consciousness.html) and a critical consciousness, in which people are aware of the bigger picture of systems and structures of oppression. I find it incredibly frustrating that in my work with people who are struggling to influence health and social services such people work really hard to keep themselves from connecting with other people also facing difficulties and experiencing issues. They seem to think that their condition or situation is so unique that they won’t get heard if they become part of something bigger. I think the problem is that by perpetuating these divisions, service providers can get away with not listening to anyone properly. It’s good to read about the different experiences of LGB and T being considered in a helpful way. The statistics you’ve shared in relation to trans people are shocking. We really do need a more understanding culture. This feels as though it has lots of links to the ways that little boys and little girls are bought in to a society which dictates what their roles will be and how they should behave, based on their gender. It’s dangerous stuff for everyone, though given the power which men have in our society, I think women, LGB and trans people are more likely to be negatively impacted by it. Reflecting on the idea that ‘part of the value the voluntary and community sector in mental health is as a bridge between communities and NHS and local authority services …’, I can’t help wondering whether this is as simple as it seems. The NCIA’s work around voluntary services picks up on something being suggested more widely, that the gap between voluntary organisations and community groups/organisations is so wide now that they don’t seem to be from one sector. The NCIA say in their Inquiry (http://www.independentaction.net/2013/07/01/inquiry-into-voluntary-services-full-briefing-now-uploaded/): ‘With respect to that part of the voluntary sector that has the interest, experience and capacity to offer services to their local communities, a new narrative has been built, in which its role is shaped around the needs of the public services market and subject to shifting fads for service and contract design… This has left many running services in local communities caught between ideologically driven contract requirements of statutory or private commissioners, and the authentic needs of their users and constituents.’ There is no doubt much to be wary of in this arena. I think you partly answered your question: ‘if we stop thinking about services as being the solution public health and wellbeing challenges and try to look for solutions further ‘upstream’, what can we do to help people have better mental health and greater wellbeing?’ in your mention of building the assets and resilience of communities. Work that I am doing around this in one housing estate in Dudley, with Public Health and Tessy Britton from Social Spaces (http://www.socialspaces.org) is highlighting for me how difficult it can be to shift mindsets from our ingrained ways of thinking and doing as consumers, as representatives, as community volunteers providing services to others in our community and so on. Sharing what we have, connecting it new ways and testing ideas is very different to deciding on a project and applying for funding for it. I plan to blog about my learning so far … though it feels as though we are in the very early stages of this work (despite having begun the thinking nearly 2 years ago! ).